By now, every Malaysian should know that Mohamad Sabu, or fondly known as Mat Sabu is Malaysia’s newly minted Defence Minister. Hours after this news was made public, Twitter with the hashtag #MatSabu went trending with Malaysians sharing an old video of him dropping his mic after ending his speech. The way he passes on the facts to people are both fascinating and entertaining at the same time, which make people want to stay right till the end of his speech. He knows his facts well especially issues faced by our country. Tun Mahathir once mentioned that you will be laughing till the very end of the speeches by Mat Sabu. This is undeniably true as Tun Mahathir and Lim Guan Eng both compliment Mat Sabu for his great culinary skills. Mat Sabu is graduated in Culinary Arts in UiTM (formerly known as Institut Teknology Mara). His signature dishes are mutton rice, curry chicken, fried mutton and more! If you’re been around on social media long enough, you would notice that Mat Sabu’s memes are all over the Internet! He even has his own fan club on Twitter now and this account has 31.3k of followers. His undefeatable spirit is a value that should be learned by every Malaysian! He made a lot of efforts in making Malaysia a better place as well. 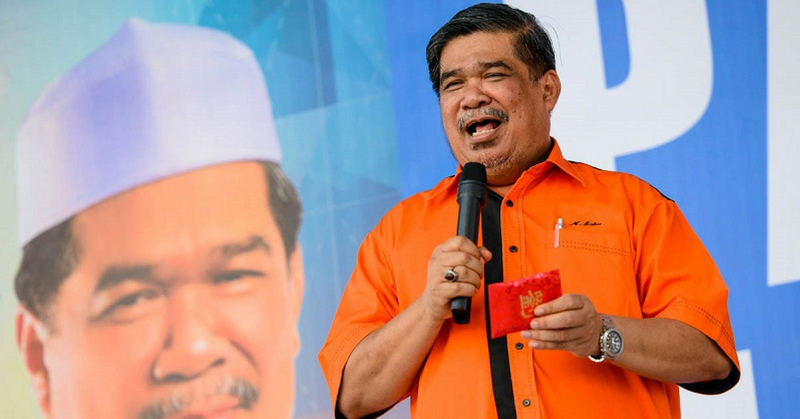 Mat Sabu has been in politics for a long time, hence he sure has boundless experiences in it. In the past, he started off by joining ABIM in 1975 and moved on to PAS in 1981. However, in 2015 he decided to leave PAS and created his own political party called Amanah. Mat Sabu also participated in Bersih 2.0, where he got injured during the movement.